Your new East Cobb pediatrician is Sun Pediatrics Johnson Ferry. Sun opens a new location in East Cobb this September. Our mission is to keep kids happy and healthy. We specialize in providing comprehensive pediatric medical care (sick, preventative, and well) from birth through eighteen years of age. Provide the best pediatric healthcare without unnecessary tests and medicines. To attain optimal mental, physical, and social health and well-being for all infants, children, and adolescents. Make your experience a personal one. We will treat your child like we treat our very own. We want to work with parents and help you raise a happy, healthy child. Foster open and direct communications and take the time to understand the child’s health, illness and pediatric needs. Make a difference in the lives of children by providing quality health care in an environment built on knowledge, innovation, integrity, and fun! I love the care that Dr. Hari , Dr. Grulke & the staff provides for my daughter. Sun Pediatrics is the best pediatrics office in Marietta Ga. It was hard for me starting over after 11yrs with a newborn premie but with Sun’s help with our concerns & needs for our baby (now 4 months old) it helps a lot. I would be lost without Dr. Hari, Dr. Grulke & staff. So appreciative for this entire office! I love Sun Pediatrics! I have been coming here since 2014 and don’t want to go anywhere else. Dr. Hari is the best. She’s is very knowledgeable and caring. Her staff is professional and polite. The office is very clean and nice environment. I’ve never waited for long wait periods even when it’s busy. 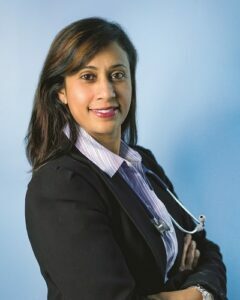 Every time I have a concern or problem, Dr. Hari has been available and her staff has been of good assistance. I would recommend this practice to anyone whose looking for comfort, care, and quality service. Get started with regular pediatrician wellness checkups for your children. Call Dr. Hari of Sun Pediatrics to schedule an appointment and get acquainted with the pediatrician East Cobb families will soon call first.